All services of meetago are free of charge! 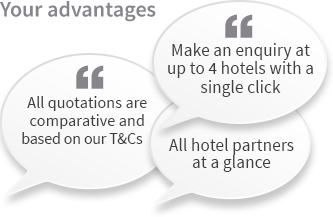 Easily comparable hotel offers within 24 hours - directly printable! You haven´t got a meetago account yet but would like to benefit from it right away? Then register here for free now!